After working for three decades in the care sector and selling his business, you’d be forgiven for thinking that Glenn Pickersgill might be ready to call it a day and ride off into the sunset of early retirement. However, once the deal was struck he found himself at a loss for what to do next. “I just got so bored,” he says. “I really missed working with people and helping them with their problems.” He briefly contemplated getting back into running care homes but having talked it over with his wife, he opted to go down a slightly different route. 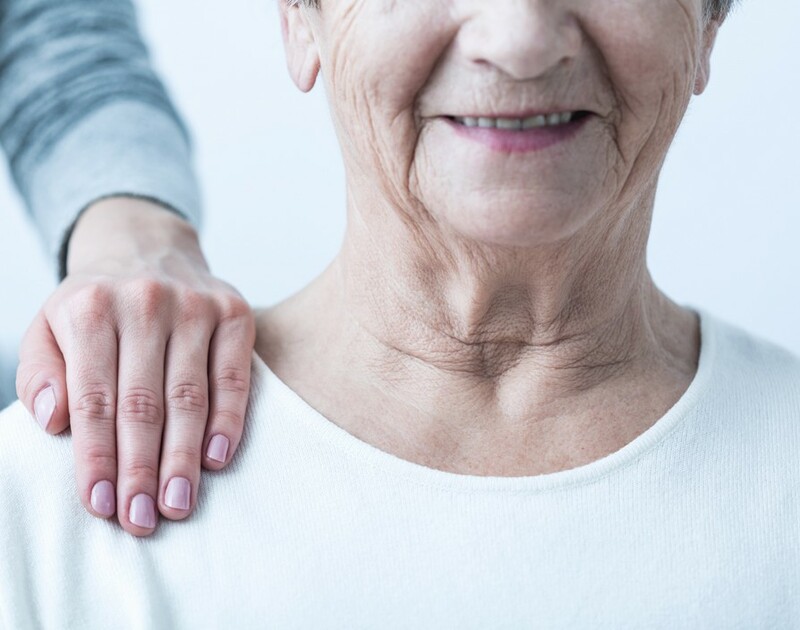 Instead of setting up another care-home business, he decided to launch Heritage Healthcare, the domiciliary care franchise that nurses clients in their own homes. Not only did the experience inspire him to buy his own care home in 1978 but Pickersgill also ended up taking over his parents’ business when they retired. But when he sold this group of care homes in 2006 and invested the capital in founding Heritage Healthcare, he didn’t initially intend to franchise the business. “The thought hadn’t even crossed my mind,” he says. It was only one year later that he seriously began to entertain the idea. “What happened was that I helped my son buy and run a Signs Express franchise,” explains Pickersgill. Seeing how well the signage business worked inspired him to combine his knowledge of the care industry with his new experience of working as a franchisee and transform Heritage Healthcare into a franchise. “I just knew it would work,” he says. Despite this confidence, when Pickersgill enlisted the help of the Franchise Company, the franchising consultancy firm, to help him transform Heritage Healthcare into Britain’s latest care franchise he realised the enormity of the challenge facing him. “That quickly made me realise that I didn’t understand franchising at all,” he says. Pickersgill was shocked at the attention that needed to be paid to even the smallest of procedures when setting up a franchise. “We had to break down every single day in detail so that we’d eventually be able to train our franchisees to deliver the care in exactly the same way we would,” he says. Eager to prove Heritage Healthcare’s commitment to professionalism, the co-founder also ensured that the company became a member of the bfa. “We wanted people to see that we aren’t just here to make money,” says Pickersgill. “We’re here for the long run.” In order to reassure potential franchisees about the company’s commitment, it also had one of its directors train to become a qualified franchise professional with the bfa. “This meant that franchisees could count on us to be competent, ethical and to do the job properly,” he continues. But despite the hard work, recruiting the company’s first franchisees proved more of a challenge than expected. “It was really difficult,” says Pickersgill. The problem wasn’t that the company lacked credentials or didn’t offer a compelling franchise package. Instead the recruitment process kept grinding to a halt when people asked to speak with a franchisee. “Obviously we had to say no because we didn’t have any franchisees,” he says. While this inability to provide the inside scoop unfortunately deterred many a candidate, rather than giving up, the team kept relentlessly hitting franchise shows and in August 2014 they eventually signed up their first franchisee. And this opened the door for many more to follow. “Once we had a few franchisees, recruitment became much easier,” says Pickersgill. “Now we could actually give people franchisees’ phone numbers and emails so that they could hear the honest truth: that we’re good at some things and not so good at others.” Being able to ask people with first-hand experience of the network about the things Heritage Healthcare provided – whether that was initial training or ongoing support around recruitment, marketing and finance – helped convince others to take the leap and buy a franchise. But even if Heritage Healthcare may have struggled in the beginning to recruit franchisees, Pickersgill has always been extremely particular about the kind of people who are welcomed into the network. “We don’t want people who just want to make money,” he says. “You have to remember that we don’t work with nuts and bolts: we work with people.” That’s why the franchisor is not just looking for previous managerial or care experience but is also searching for candidates with the right mindset. “And they must have a positive attitude,” he says. “They can’t just sit back and relax: they have to be constantly looking to develop and improve.” Provided budding franchisees have a positive outlook on life and on their profession, Pickersgill is confident that his team can teach candidates the other skills they need. This recruitment strategy and the attention to detail that Pickersgill put into setting up the model has certainly produced terrific results. Just two years after sourcing its first franchisee, Heritage Healthcare now has 14 operating in England and Wales. “We’re getting so big now that people have started to hear about us through word of mouth and not just from exhibitions,” he says.